Maraliner is an established bus company that initially started on 1st September 1985 as Kenderaan Bas MARA by MARA Holdings Sdn Bhd. Since then it had been undergoing government privatisation as the company holds an important role in socio-economic development of rural communities by providing basic transportation. 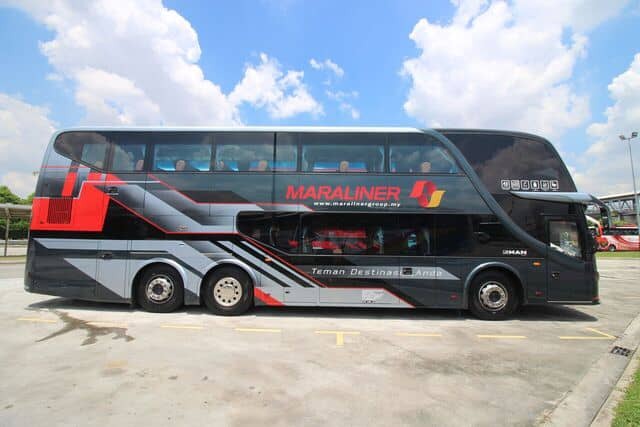 On 23 April 2012, MARA Liner Sdn Bhd (MLSB) was then incorporated to not only perform regular public transport service but also diversified its business to light and heavy vehicle workshop, advertising, courier, as well as travel and purchase of private vehicles. Although the company is long-established, passengers can book Maraliner online ticket at reasonable rates. 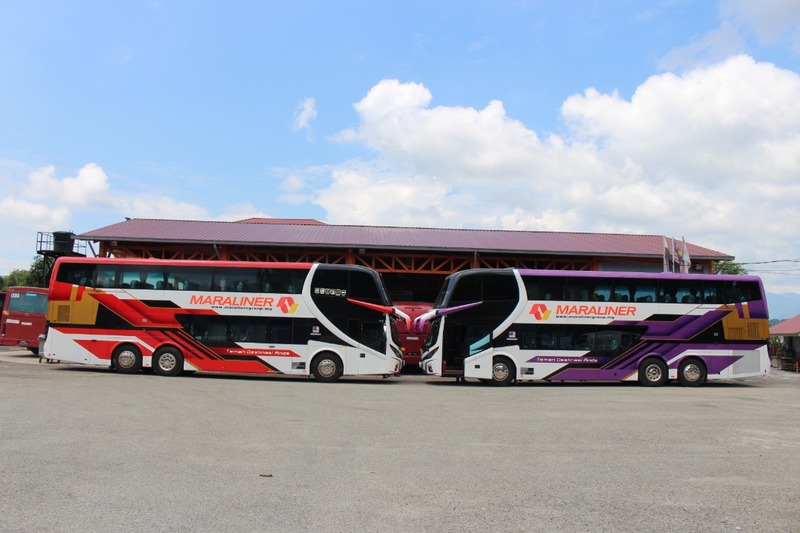 Passengers can rest assured to have a great trip Maraliner as the coaches provided are completed with excellent amenities to accommodate passengers for a long or short journey to routes all over Peninsular Malaysia. Furthermore, Maraliner’s management is highly skilled and responsible in serving their customers. 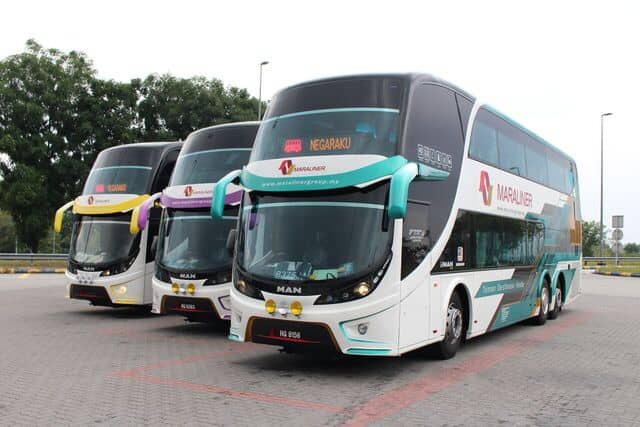 Mara Liner bus review and feedback from previous passengers have been mostly positive. This is evident in the company’s aim to serve a conducive, efficient, quality, safe and customer-friendly services. Maraliner has a fleet of 123 buses comprising of both 45-seater double decker coaches and 29-seater single deck coaches. 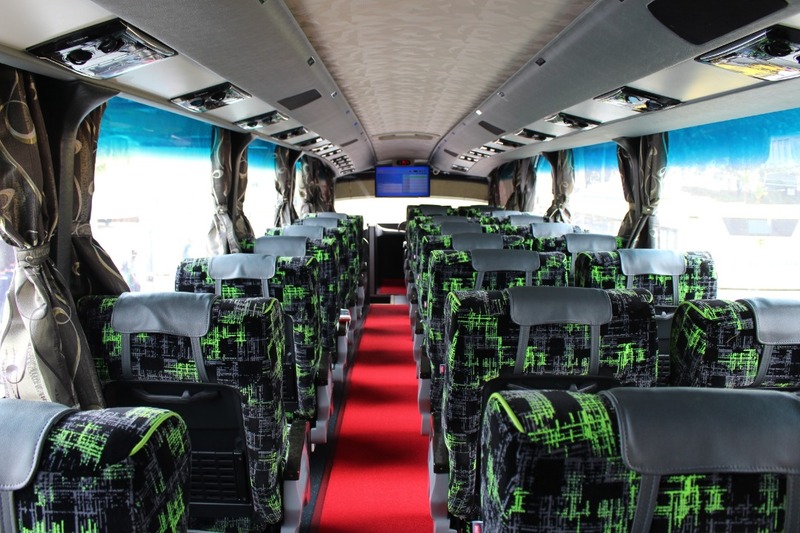 All express buses are equipped with a good air conditioning system, spacious legroom and comfortable reclining seats for passengers to sit back and enjoy the journey. Additionally, there is a separate luggage compartment under the passenger floor to load bags without hassle. Mara Liner bus review are generally rated positively by customers. The company largely operate buses that cover routes throughout Peninsular Malaysia. To date, Maraliner has 27 routes in operation with more ways to be opened sometime in the future. Some of the popular bus routes include from Kuantan to Ipoh and Perlis, as well as Pendang to Jalan Duta. Returned trips to the destinations mentioned are available. Prices of Maraliner online ticket are at an affordable rate ranging between RM11 to RM68. Be reminded that the prices of Maraliner online ticket may differ depending on the passenger’s destination and how far the journey is. Easybook provides an online booking platform to buy Maraliner online ticket in just a few clicks. Other details such as ticket prices, travel durations and bus schedules are available for travellers to review. Start planning your trip by booking Maraliner online ticket now at Easybook through a few simple steps within minutes! We look forward to serving your next trip with Maraliner.